Voters in the Lone Star state will have many decisions to make in 2018: a U.S. Senate seat, 36 U.S. House seats, executive row positions, and the governor’s seat are all up for grabs. Democrats in Texas are on the verge of something they have not seen in recent political history: a competitive primary. Eight candidates remain in the race, including former Dallas County Sheriff Lupe Valdez, former Mayor of Balch Springs Cedric Davis, son of former Texas governor Mark White and entrepreneur Andrew White, businessman Joe Mumbach, financial analyst Adrian Ocegueda, businessman Jeffrey Payne, hospice chaplain Tom Wakely, and perennial candidate and former educator Grady Yarbrough. The Texas AFL-CIO has weighed in on the race by endorsing Valdez over White (only White and Valdez participated in the endorsement process), but White raised over $200,000 in the first three weeks of his campaign, compared to Valdez who raised roughly $47,000 in that same period. With the March 6 primary rapidly approaching, Democrats have a number of choices. Meanwhile, the Cook Political Report and Inside Elections both list the state as “Solid R” and the University of Virginia’s Center for Politics’ Crystal Ball has deemed it “Safe R.” These predictions, paired with record-breaking fundraising by the Abbott campaign and less than $300,000 raised by the entire field of Democrats, make it likely that Abbott will remain governor. Republican Governor Mary Fallin, the first woman to serve as Oklahoma’s chief executive, will serve her last year in office in 2018 after reaching her two-term limit. Fallin was first elected in 2010, as a Tea Party candidate who promised to cut taxes. Unfortunately, the Republican push to slash taxes has left the state cash-strapped, leaving many schools, hospitals, prisons and other state agencies struggling to stay afloat. A drop in oil and gas prices has also compounded financial woes for a state that relies on revenue from the energy industry. Nine candidates have announced their candidacy: six Republicans and three Democrats. Republican Lt. Governor Todd Lamb has emerged as a likely frontrunner. He won the 2010 Republican primary with 67 percent of the vote. Shortly before announcing his candidacy, Lamb resigned from his position on Fallin’s Small Business Cabinet. His move was largely viewed as a way to distance himself from the governor’s sagging approval ratings. Meanwhile, Lamb’s campaign has raised more than $2.4 million, the most out of any GOP candidate. According to a January SoonerPoll Survey, Lamb has 18 percent support among likely voters who were asked to choose among six GOP candidates (39 percent remained undecided). In the poll, Lamb finished behind Mick Cornett, a four-term Oklahoma City mayor, who captured 24 percent. As mayor of the state’s largest city, Cornett has campaigned as a pragmatic politician who can get things done. However, a perception among rural voters that Oklahoma City has different priorities may hinder Cornett. He lags in funding with $623,000 compared to Lamb. Also seeking the GOP nomination is Gary Richardson, a Tulsa lawyer who ran as an independent conservative in the 2002 gubernatorial race. Many Republicans thought Richardson’s entry stole votes from GOP nominee Steve Largent, giving Democrat Brad Henry the victory in 2002. Richardson’s move angered many in the party establishment. Republican candidate Kevin Stitt, a personal financier who started his own mortgage company, raised roughly $811,000 in three months. He remains a dark horse candidate but his funding capability, as well as his humble beginnings, may attract voters. Other long shot GOP contenders include Dan Fisher, a Baptist preacher and former state legislator, as well as Gary Jones, the current state auditor and former chair of the Oklahoma GOP. While the Cook Political Report and Inside Elections have categorized the race as safely Republican and likely Republican, respectively, Democrats have mounted a formidable field. Moreover, the Democrats have flipped four state house seats from Republican to Democrat in recent special elections. Drew Edmondson, the former Oklahoma attorney general, has emerged as the likely candidate. Edmondson’s family has a long line of public service in Oklahoma; his father was former congressman Ed Edmondson, his uncle J. Howard Edmondson was Governor, while his brother James sits on the Oklahoma Supreme Court. Edmondson’s primary contender is State Sen. Connie Johnson, an African-American woman from Oklahoma City. As a former Democratic nominee in the 2014 U.S. Senate race (she lost 68 percent to 29 percent) Johnson has backed progressive legislation in the state house on reproductive rights, abolishing the death penalty and criminal justice reform. According to the Sooner Poll survey, Edmondson has 40 percent of support while Johnson has 21 percent. Roughly 35 percent remain undecided. Republican Governor Pete Ricketts will face re-election in 2018 after winning the governor’s race four years prior. Fortunately for Ricketts, his approval rating sits at 56 percent, with 29 percent disapproval, according to a Morning Consult poll. As the former chief operating officer of Ameritrade (his father founded the company) Ricketts is worth roughly $50 million. The Ricketts family also owns a majority share of the Chicago Cubs. As a fiscally and socially conservative governor, Ricketts helped overturn legislation that banned the death penalty. He has also proposed cutting off federal Title X funding for entities that perform, council or refer for abortion. Ricketts is now looking to cut the state budget in 2018. While Ricketts won’t face a formidable contender from his own party, three viable candidates have decided to enter the race. State Senator Bob Krist announced he would challenge Ricketts as a third-party candidate in July 2017. Krist has served as a Republican in the country’s only unicameral legislature since 2009, but he changed his registration to nonpartisan in September 2017. Krist says Ricketts has insulated himself with political advisers while neglecting ordinary Nebraskans. During his announcement, Krist said he would restore a “separation of power” between the executive and legislative branches. He has also pledged to “get a handle on” property taxes that fund schools, and reform the state corrections system. In Nebraska’s Democratic primay, two contenders have emerged. Omaha Community Leader Vanessa Ward announced her bid in late January, but may face name recognition issues outside of Omaha. Meanwhile, Tyler Davis, an instructor at the University of Nebraska Omaha faces similar challenges. Initially, Nebraska Democratic Party Chairwoman Jane Kleeb said she would run if no other candidates emerged. Although she backed off after representatives from Ward’s campaign alleged Kleeb told Ward that she was not a credible candidate. Some in the party have suggested a recruitment effort for Krist. Republican Governor Dennis Daugaard will leave office in early 2019 after serving two terms as the state’s chief executive. Daugaard, who won re-election by a 45-point margin in 2014, was a moderate who has focused on South Dakota’s financial health. However, Daugaard received a great deal of criticism from conservatives after he passed a pair of tax increases, supported Medicaid expansion and blocked gun-rights and transgender “bathroom” bills. As a result, several GOP lawmakers have announced bids to reinstate a more conservative agenda as governor. Attorney General Marty Jackley and U.S. Rep. Kristi Noem have emerged as the party’s likeliest candidates. As the state’s “top cop,” Jackley has been elected twice and pushed to impose harsh penalties for methamphetamine dealing and manufacturing. In early 2018, Jackley unveiled a measure requiring companies to inform residents if their personal information had been comprised; the law would give the company 45 days from the discovery to notify the users. In early January, Jackley’s campaign raised more than $1 million, breaking South Dakota’s single-year record for money raised by a gubernatorial campaign in a primary. Noem announced her candidacy in November 2016. She also began a tour throughout South Dakota to answer questions regarding the new tax legislation championed by congressional Republicans. Noem has also sponsored an online sales tax introduced into the U.S. House in April 2017. The Remote Transactions Parity Act of 2017 would require online sellers to collect sales taxes from the buyer based on the taxes in the buyer’s state. Because many online retailers are located outside of South Dakota, the state loses out on significant revenue. Other GOP contenders include former State Rep. Lora Hubbel and Dr. Terry LaFleur. In South Dakota’s Democratic primary, Bille Sutton, a 33-year-old state senate minority leader, has emerged as the sole contender. A former professional bull rider, Sutton was injured in an accident, paralyzing him from the waist down. While many pundits consider South Dakota’s governor a safe Republican seat, Sutton has championed agriculture, anti-corruption, and transparency issues on his campaign. If he wins, the former community banker and rancher would become the state’s first Democratic governor in 39 years. In July 2017, President Trump nominated Republican Governor Sam Brownback to serve as U.S. Ambassador-at-large for International Religious Freedom. However, the U.S. Senate failed to vote on Brownback’s confirmation by year’s end and his nomination was returned to the White House. However, Governor Brownback announced on January 25th, 2018 that he would be resigning to finally join the administration as Ambassador-at-large. Lt. Governor Jeff Colyer will take over as Governor. Unfortunately for the Kansas GOP, his 25-percent approval rating bodes poorly for Republican party contenders. Brownback’s budget mismanagement has jeopardized school funding, public pensions and highway projects, stoking anger among the Republican-controlled legislature. The next governor will likely have to make drastic cuts or increase taxes. Kansas remains a staunchly conservative state. Jayhawkers have not voted for a Democratic Senator since the Depression, while 19 of the past 20 presidential elections have gone in the GOP column. However, they have a history of voting for Democratic governors; four of the last seven have been Democratic, including Kathleen Sebelius, former health and human services secretary under President Barrack Obama. In lieu of these circumstances, 24 Democratic and Republican candidates have already entered the fold, making it one of the most crowded primaries in the region. State Senator Laura Kelly is among the favorites in the Democratic primary. As a fiscal conservative who leans liberal on social issues, observers believe the 67-year-old is more likely to win a general election rather than a primary. After announcing her intention to run in mid-December, Kelly raised $155,000 in less than a month. 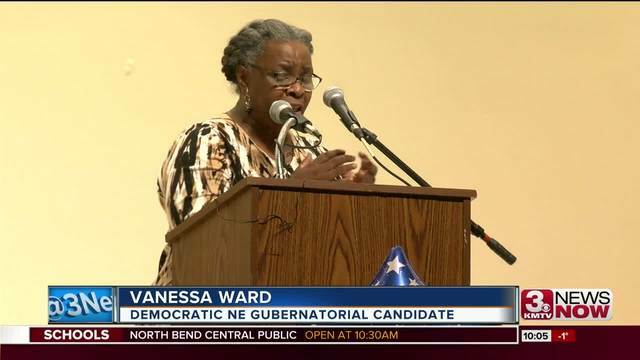 Currently, she is the only woman in the race, as well as the only major Democratic candidate from northeast Kansas, which includes the Kansas City-Lawrence-Topeka-Manhattan corridor and holds nearly half of all the Democratic voters in the state. Before Kelly joined the race, 37-year-old Josh Svaty was the favorite to win the primary. As an active farmer, Svaty was elected to the Kansas House of Representatives when he was 22-year-old in 2003. After six years in the legislature, he became the state’s Secretary of Agriculture before joining the EPA. While Svaty has focused on state finances, schools and quality-of-life issues, his pro-life voting record has prompted concerns among the left. Other contenders include Carl Brewer, the former Mayor of Wichita from 2007-2015. Brewer has pledged to correct the state’s financial issues. If elected, Brewer would become the state’s first African-American governor. Jim Ward, House Democratic leader since 2003, has also announced his candidacy. In the Republican primary, Lt. Governor Jeff Colyer and former State Secretary Kris Kobach have arisen as the front runners. 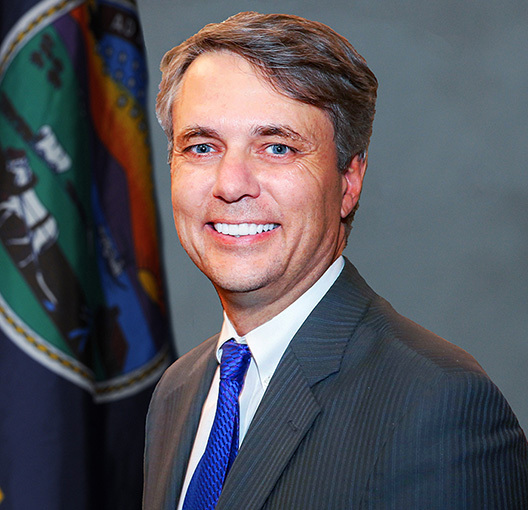 Given Governor Brownback’s resignation to join the Trump Administration., Colyer will ascend to the state’s executive, providing him with an opportunity to implement his own policies before the primary. With Brownback’s approval rating sinking, Colyer tried to distance himself from the Governor. He has also begun appearing frequently in public, serving as a prominent voice at luncheons and legislative meetings. Colyer will also oversee the budget process in 2018, according to reports. Kobach, the chair of the controversial Presidential Advisory Commission on Election Integrity, will likely appeal to hardline conservatives. 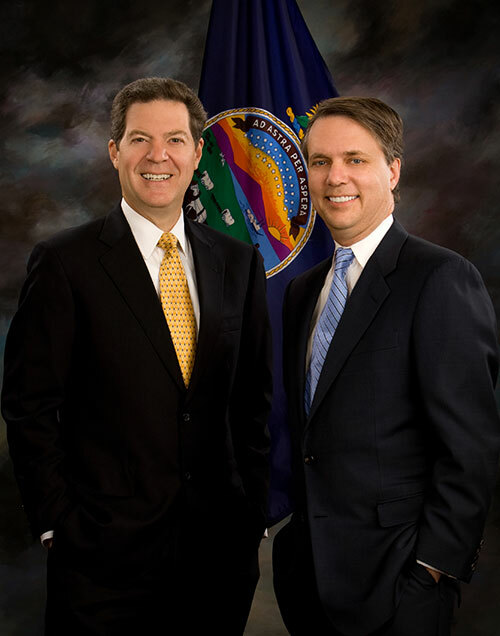 While Colyer has cultivated deep roots with the traditional wing of the Kansas GOP, Kobach has a connection with the White House and the Trump administration. However, with approval for the President dropping, Kobach may face a tough climb. Dark horse contenders Greg Orman, an independent candidate and business executive, and Insurance Commissioner Ken Selzer, remain outside candidates but they have raised a surprising amount of money. As a swing state, Colorado anticipates a close gubernatorial race in 2018. With Democrat John Hickenlooper leaving office due to term limits, a crowded field of both Republicans and Democrats has emerged. primary. While the race remains relatively tight, three candidates have become the favorites. Rep. Jared Polis, a 5-term congressman from Boulder with high name recognition among liberal constituents, has become the front runner. Polis and his partner Marlon Reis, are married with two children.Polis started an internet access provider company while a student at Princeton before he sold it in 1999 for $430 million. Former Colorado State Senator Mike Johnston announced his candidacy in January 2017. Johnston spent 10 years in Colorado’s upper chamber before leaving in 2017 due to term limits. Johnston has begun crafting an economic message focused on the future of work. However, his close relationship with a hedge fund billionaire known for attacking organized labor has drawn criticism. Cary Kennedy, the state treasurer from 2007 to 2011, has made her campaign about increasing funding for schools while supporting teachers. Kennedy, Johnston and Polis remain the likely front runners, but current Lt. Governor Donna Lynne has seized a dark horse role that could surprise the field. The 64-year-old has embraced her image as a wise public servant who straddles progressive beliefs with pragmatic policies. In the Republican primary, three candidates have taken the lead. Among the most controversial is Tom Tancredo, a former congressman from the Denver suburbs who has connections to Steve Bannon. Tancredo has a strong anti-immigrant and pro-gun record. He has also participated in the conspiracy surrounding President Barack Obama’s birth certificate. Colorado State Treasurer Walker Stapleton has serious advantages over his opponents, including breaking state fundraising records and counting Presidents George H.W. Bush and George W. Bush as relatives. With a strong background in economics, Stapleton has received funding and endorsements from many members of the Colorado business community. He has also pledged to reform the state’s employee pension system. Stapleton will likely face Attorney General Cynthia Coffman in the Republican primary. Coffman, the former spouse to U.S. Rep. Mike Coffman, has strong backing from the energy industry, while her initial campaign themes have centered on affordable housing and access to healthcare. Compared to Tancredo and Stapleton, Coffman has a moderate record on social issues; she has stood for LGBTQIA rights while signaling support for pro-choice issues. Other Republicans running include Steve Barlock, former Trump campaign chair in Colorado; Lew Gaiter, Larimer county commissioner; George Lopez, former mayor of Parker who also served as the Colorado director of the Small Business Administration from 2008 to 2014; Victor Mitchell, former state legislator; and Doug Robinson, a former investment banker and nephew of Mitt Romney. As of now, political polls vary widely on who is likely to win their respective primary. The Cowboy State will elect a new governor in 2018 as Republican Matt Mead finishes his term limited tenure with a 59 percent approval rating, according to a November poll from Morning Consult. Wyoming’s large rural population is heavily reliant upon the energy industry, but instability in the oil and gas market has created a boom or bust economic climate. The state has a strong Republican tradition, although Democrat David Freudenthal was elected governor twice before he left office in 2011. In the Republican primary, Secretary of State Ed Murray, State Treasurer Mark Gordon and House Speaker Steve Harshman have surfaced as viable contenders but none have made official announcements. All three appeal to different segments of the conservative wing. Murray adheres strongly to evangelical principles; while Gordon’s moderate record as a treasurer helped the state earn positive returns on investments; while Harshman has strong credibility among the state’s conservative establishment. Other notable Republican candidates include Dr. Rex Rammell, a former veterinarian and conservative firebrand who made his announcement shortly after the New Year. Rammell has sought office six times as a Republican, but his far right views—including a belief that the federal government should relinquish all rights to land—have kept him out of office. Harriet Hageman, a Cheyenne water rights attorney known for fighting environmentalists, announced her candidacy on January 19. As the only republican woman in the race, she has many of the same policy prescriptions as Rammell. In the Democratic primary, former minority leader Mary Throne announced her plans to seek the nomination in late August. Throne, who served in the legislature from 2007 to 2017 (she was defeated in 2016 by Republican Jared Olsen), aims to diversify the economy away from energy. Other Democratic candidates include state Senator Chris Rothfuss and the Nature Conservancy of Wyoming Director Milward Simpson.